Reveron goes for his fourth consecutive victory in the Sam F. Davis Stakes at Tampa Bay Downs since breaking his maiden last fall at Calder Race Course. The son of Songandaprayer is coming off a victory in the New Year’s Day Gulfstream Park Derby at 1 1/16 miles, the same distance as Saturday’s race. Reveron battled Casual Trick down the stretch en route to a half-length triumph. 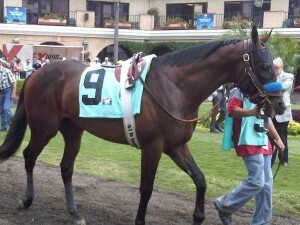 Reveron closed out his juvenile season with a pair of easy seven-furlong victories at his home track, Calder Race Course. He faces a pair of horses that competed in last year’s Breeders’ Cup Juvenile, but ran rather poorly. Prospective, 13th in that Nov. 5 race at Churchill Downs behind Hansen, bounced back on Jan. 14 to capture the seven-furlong Pasco Stakes at Tampa Bay Downs. Despite a flapping piece of white tape from his right hind leg, the son of Malibu Moon wore down Wildcat Creek to post his third win by a half-length. State of Play will attempt to make amends for his 12th-place finish in the BC Juvenile, when ended the son of War Front’s winning streak at two. The field will include Chief Energy and Neck ‘n Neck, each with a score last year in routes at tracks outside the Sunshine State. Another stakes race for 3-year-olds that’s being staged across the country has attracted a much larger field, headed by CashCall Futurity winner Liaison, who posted his third straight at Hollywood Park on Dec. 17. Liaison is one of two horses that trainer Bob Baffert plans to enter in the Robert B. Lewis Stakes at 1 1/16 miles on Saturday. The other is Sky Kingdom, fourth in the CashCall, but with two wins at the distance, including one in a Santa Anita allowance contest on Jan. 12. On Jan. 27 at Santa Anita, Sky Kingdom worked five furlongs in 58 2/5, sharing the fastest of 67 recorded works at the distance. Empire Way worked six furlongs in 1:14 4/5 at Hollywood Park on Jan. 26. 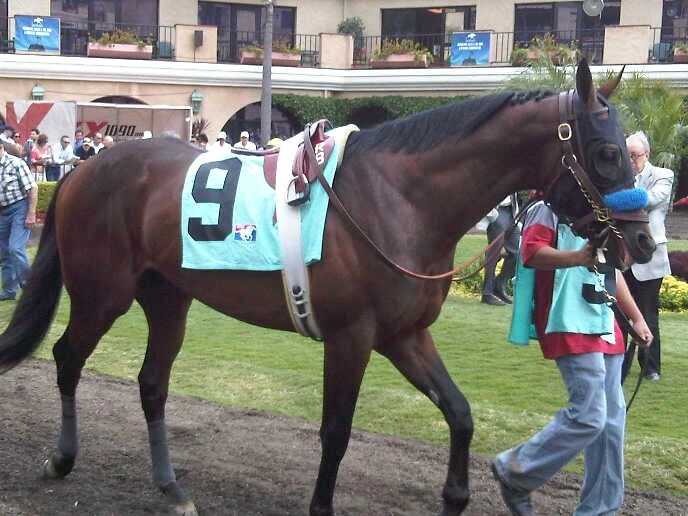 The Grade 2 Lewis will be his first start on dirt after three races over Hollywood’s synthetic surface. Two others that may go in the Grade 3 event are Groovin’ Solo, a maiden race winner on Dec. 30 that tied Sky Kingdom for that fastest five furlongs on Jan. 27, and I’ll Have Another, unraced since finishing sixth in the Grade 1 Hopeful at Saratoga in September, who worked seven furlongs in 1:26 at Hollywood on Jan. 27.